Dhankuta, a small hilly town, is situated in eastern part of Nepal. 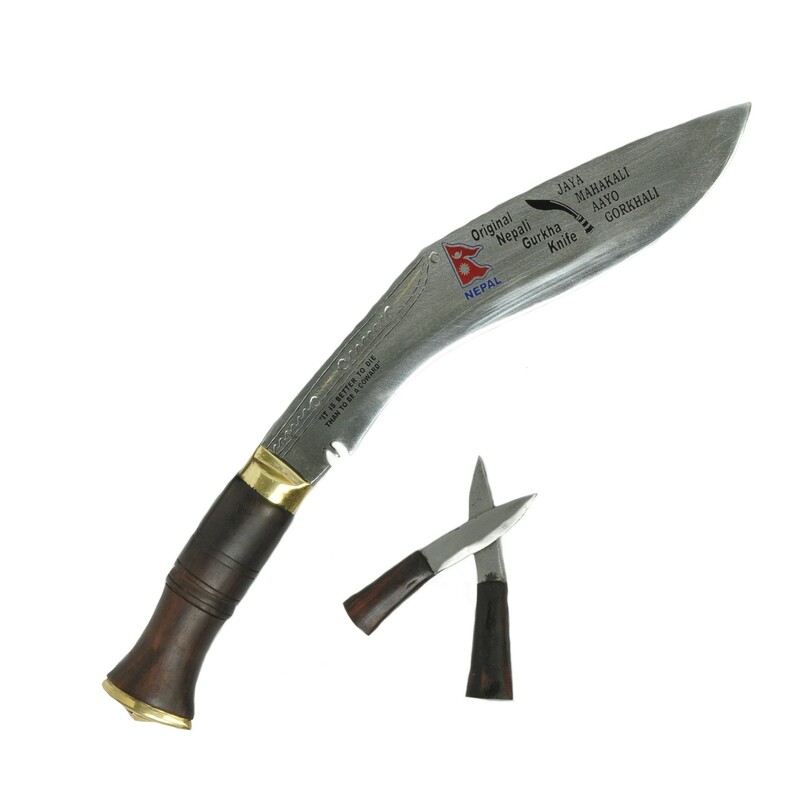 This type of khukuri is made in that place. Hence it is called Dhankute wooden khukuri. The blade of the khukuri is decorated with famous Gurkha slogans. 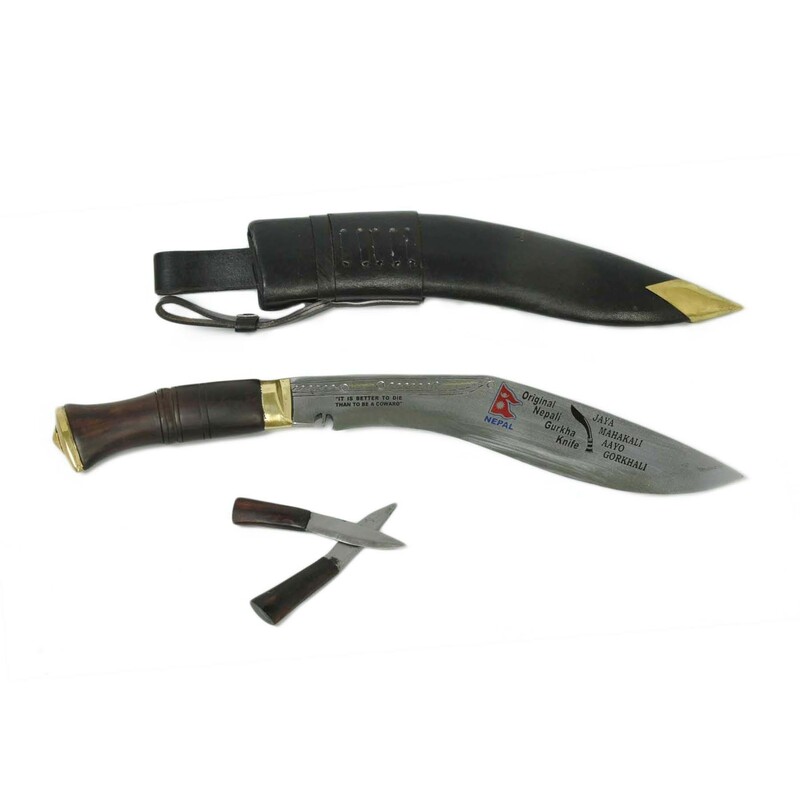 Blade Size and Type: 10 Inch and polished blade,Handmade. Weight: 820 gms ( 29 Oz Approx).